Hope your week is off to a good start! It's good to be back here on the blog... I've had a few days away due to my travels last week to QVC for the Customer Choice Beauty Awards! (I'm planning to do more on that soon- it was amazing!!) 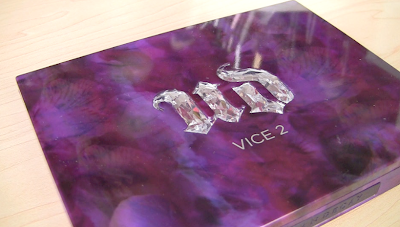 Anyway, today's review on Beauty Broadcast Express is all about the Urban Decay Vice 2 palette. Check it out, if you haven't already! 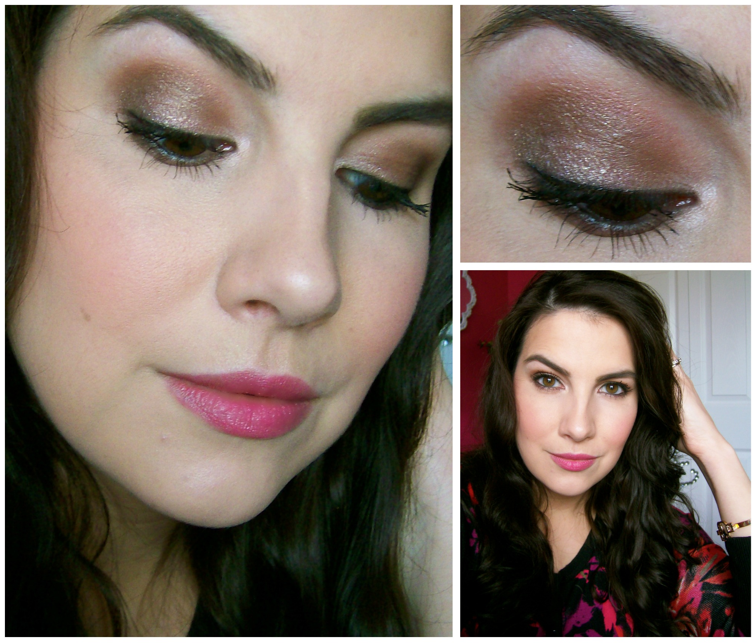 That video was purely a review, so I didn't get into the eye look I was wearing... instead I figured I'd save that for the blog! :) It was not a very dramatic or bright look at all (which this palette is definitely capable of)- but I still wanted to show it since it made me think "fall". By the way- my lip color is the new NYX Butter Lip Balm in Ladyfingers (review pending! ), and my blush is the Ioni blush in Ecstasy (I find that line at Fred's Super Dollar). My foundation is Cover Girl's Stay Fabulous 3 in 1. 1. First I applied a primer all over my lids, and then used Dope (a shimmery peach champagne) around my inner corner. This is also my highlight under the brow. I finished the look by lining my upper & lower inner rims, as well as my upper lashline with a black pencil. Then I used L'oreal Voluminous Butterfly mascara (see review here) on my upper and lower lashes. Speaking of cats... it's Cat Week on Ellen! I love this look! I am hoping to get the UD palette for Christmas if it doesn't sell out! its fabulous! I got the original vice last year because I thought the colors were so pretty but I find that I rarely use it! Vice 2 looks equally pretty but I think I will pass since I probably wouldn't get much use out of it! I want to buy this so bad! I really don't need it, but I'll probably put it on the Christmas list anyway :) Great look Emily! Love the eye look! It really suits you - a great natural look that still lends some definition and interest to the eye area! stash is my absolute favorite! i have like 3 stash eye liners because in my head i thought i was running out of it lol and defnitely was not. I was wondering if you know any dupes for the shade shellshock? That is my favorite color from that palette but I don't want to buy the whole thing. I may have already told you this--maybe a comment on a video--can't remember. Anyway, I went to Fred's and got that blush after seeing your review. I love it!!! I saw this when we were at Ulta on Saturday and LOVED it! I don't love the prices but I might see if I can get it on Ebay but such a beautiful look! IMHO , Ebay will only be more expensive than sephora/ulta/urban decay prices. often times they take even limited edition makeup pal;ettes and dupe them by making tyhem in china and selling them. Just think , how is someone able to give you a brand new product at a price less than the sale price > Yes , some buy during friends and family events etc and then make a priofit on ebay but just google " fake make up amazon/ebay ". you will be surprised to read articles and info . I got duped by a smashbox palette once, that was limited edition . Just a word of caution by another make up lover. currently Ulta is giving 20 percent off till nov 1st on all products and sephora wil be doing their beauty insider 15 off 50 soon per musingsofamuse's blog . good luck . Gorgeous look! Right on trend, and perfect for fall :) ughh I need this palette! Awesome Look! 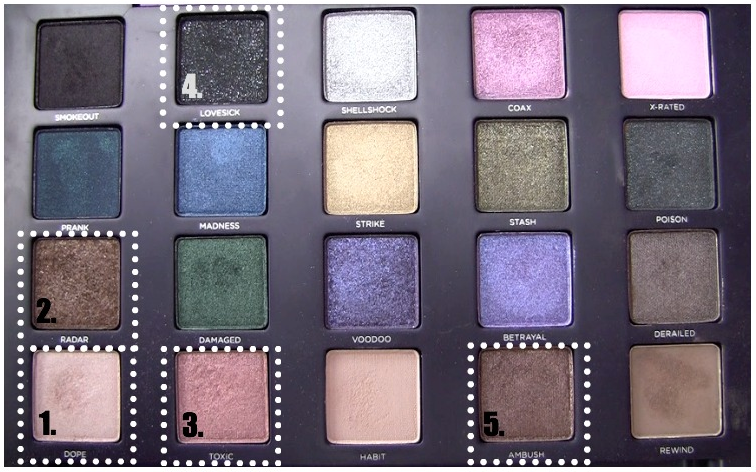 Right on trend, and perfect for fall :) ughh I need this palette! thanks for share this post. You are hilarious and I want to be just like you when I grow up (I'm 28. haha!)! I'm going to be the crazy cat lady for sure! 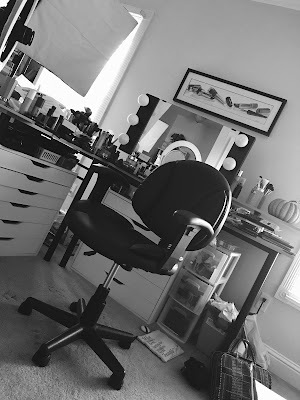 Your content about beauty product is great. Appreciate it intended for discuss this sort of exclusive document. we Appreciate that your particular publish is very beneficial. Beautiful look, I'll have to try it. I don't have many occasions to wear a lot of these shadows but I love them. I absolutely love the L'Oreal Butterfly mascara. Happy Halloween from the Glam Cat! Watch Emily on QVC's Behind the Beauty! 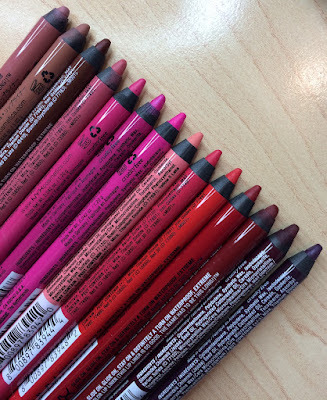 Four Fun Eyeliners for Fall!